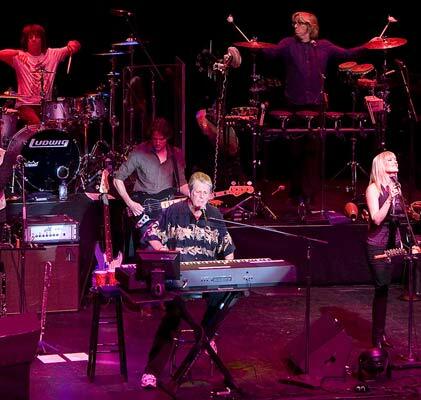 At the Lobero Theatre, Wednesday, September 10. 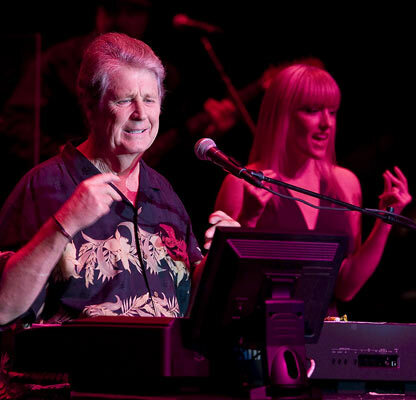 Former Beach Boy Brian Wilson played a mix of oldies, goodies, and tunes from his new album, <em>That Lucky Old Sun</em>, during last Wednesday's show at the Lobero. 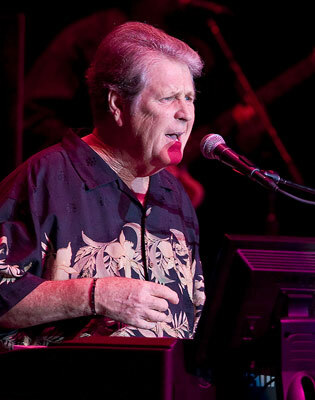 You could have gleefully mapped the path of Brian Wilson’s career last Thursday night by way of the innocence-threatened “She’s Not the Little Girl I Once Knew,” the psychedelic naivete of “Good Vibrations,” and the swelling of the crowd’s (mostly made of a certain age) collective heartbeat to these former glories. Obvious to anyone was Wilson’s genius as lyrical poet of post-war adolescence. But few of us knew that no matter how familiar we were with these seemingly airy ditties, how celestially they would play in the intimate downtown concert hall. Between the bass-thumping “good-bop-bop-good-good-vibrations,” the honey-sweet harmonies ladled above the chugging rhythm section, and the skirl of a real Theremin, I began to meditate on the many geniuses who’ve played the Lobero, from Tom Waits to Baryshnikov to Igor Stravinsky, who performed to a half-house there, circa 1949. The real magic began with a string of tunes that represented the moment the Beach Boys broke away from exploiting teen recreational lifestyles to become the sweet-voiced chroniclers of real adolescent life. “In My Room,” “All Summer Long,” “Please Let Me Wonder,” “Wouldn’t It Be Nice,” and “God Only Knows”-the song Paul McCartney envied and the kids at pitchfork.com voted the best song of the 1960s-are all built upon single emotions, distilled down to the universal ache. “In My Room” pits solitude against loneliness; “Wouldn’t It Be Nice” examines age, impatience, and desires postponed; and “God Only Knows” dreams about destiny. To say that each song got its due would be an understatement. Big tough guys I could name were misty. It’d be remiss not to mention Wilson’s new album, That Lucky Old Sun, which formed the actual nucleus of this show. Though the less, the better. It’s uneven work; sometimes sublime (“Midnight Makes Another Day”) though often embarrassing (“Mexican Girl”); yet the songs represent Wilson and his vivid co-conspirator Van Dyke Parks’s honest attempt to record a vision of SoCal as mythic ground. It’s not dumb, but Wilson’s better at the personal than the geographic truth. (“Sail on Sailor” might be the exception.) That said, without the proud performance of Sun songs, this would’ve been a mere oldies revue. Wilson is a working artist with a great band and a backlog that only the Beatles could exceed. His band was sharp, mellifluous, and emotionally engaged, much like the poet they were supporting. And together, it was like they caught a wave and were sitting on top of the world.